Thanks to Roger Rawson for uploading this image of the crypt under the Market Place. We look forward to investigating this site and many more tunnels as part of the Wisbech Underground activity! Updated 13.7.2017: New image added; a pencil sketch of the “Crypt under the Market Place” dated 1847 from “A History of Wisbech and the Fens” N.Walker & T. Craddock, 1849 Shows the same view as Rogers photo 170 years earlier! 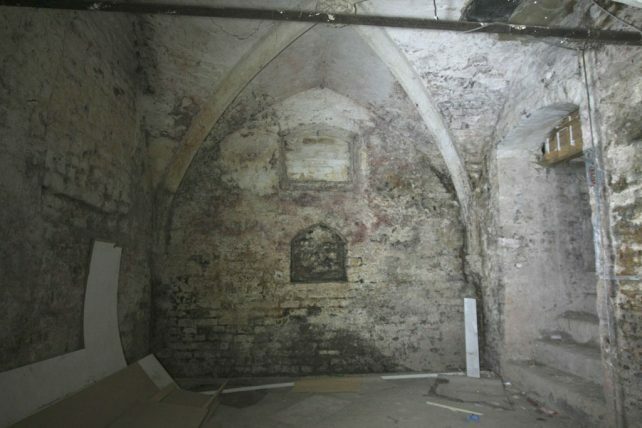 Will the underground crypts and tunnels around Wisbech ever be open to the public becoming tourist attractions ? As part of the High Street Projects Activity “Wisbech Underground” we hope to be able to offer tours of some of the tunnels and crypts if safe to do so and if the owners are in agreement. The project will map the tunnels and create re-constructions for people to see inside who cannot make the tours or may find access difficult. I am not aware of any current plans to open up the tunnels as a tourist attraction but in time this may be an option.. 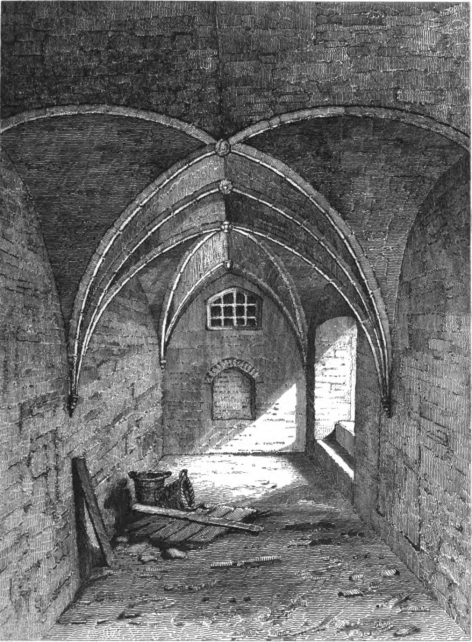 Although below ground, it may have originally been the ground floor of a shop/stall when the market place was lower and sloped downwards.